Parkinson’s law is the adage that work expands to fill the time which is available for its completion. In the following article, you will learn more about this concept, and about how understanding it can help you boost your productivity. Parkinson’s law is the idea that the more time we decide to dedicate to a certain task, the longer it will us take to complete it, even if we could have gotten the task done just as well in a shorter period of time. This phenomenon has been observed in a number of scientific studies, which show that when people are given extra time to complete a task, they will generally take advantage of that time, even if they don’t really need, and it doesn’t lead to better performance on the task. Furthermore, this effect sometimes extends to subsequent attempts to perform the same task. 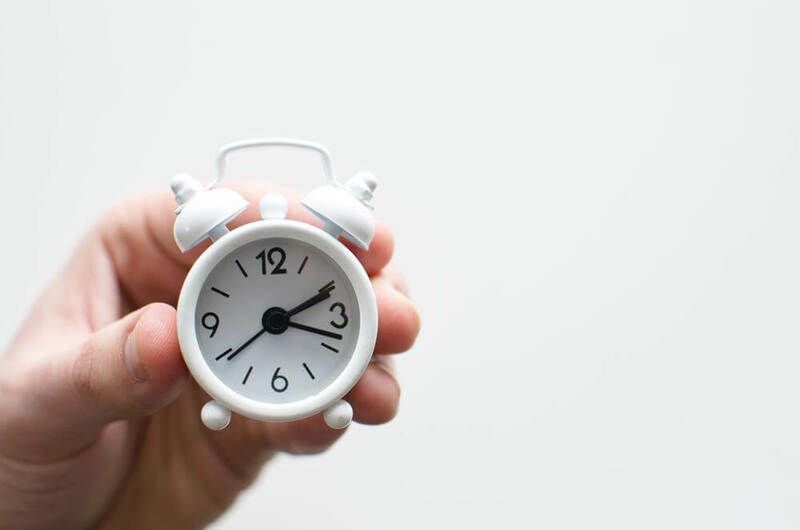 That is, if someone is given extra time to perform a task the first time around, they will generally take longer than necessary to complete the task again in the future, even if you remove the explicit instructions giving them extra time. Overall, what this research shows is that when people are given a task to perform, they often think in terms of “how much time do I have to complete it?”, without also considering “how much time do I need to complete it?”. This mindset causes people to waste time needlessly, by working in an inefficient manner. The underlying principle behind Parkinson’s law extends to other areas beyond personal productivity. For example, researchers examining public management found that “contracting expands to consume the administrative resources available for its generation and management”. This means that just as people tend to take up as much time as they have available when they need to complete a task, contractors tend to use all the available resources that they can, regardless of whether they need them or not. Similarly, other studies showed that the “the growth of bureaucratic or administrative bodies usually goes hand in hand with a drastic decrease of its overall efficiency”. Essentially, the more workers are allocated to perform certain tasks, the less efficient each of them becomes. This mirrors the previously discussed decrease in efficiency that accompanies an increase in the time allotted to a certain task. Overall, we can summarize the most basic version of Parkinson’s law by saying that once resources are allocated to a specific task, we tend to use them even in cases where they are unnecessary. Furthermore, when there are no strict constraints on the amount of resources that are being consumed (such as time and money), the general tendency is to try and increase the amount of resources that are allocated to each task, regardless of whether more resources are needed or not. Taken together, these tendencies cause most people to work in an inefficient and wasteful way. By learning to account for Parkinson’s law, using the methods which we will see in the next section, you can learn to work more efficiently, and boost your productivity. To account for Parkinson’s law in your work, you need to start each task by identifying its scope, and trying to determine how much time it will realistically take to complete it. That is, don’t ask yourself how much time you have to complete a task. Instead, ask yourself how much time it should realistically take you to complete that task, and do your best to complete your work within that timeframe. You can accomplish this by using artificial time constraints, which research shows can lead to higher outputs. Each constraint will apply to a specific task. For short-term tasks, for example, you might use a timer with a set amount of minutes, while for long-term tasks you might choose to work with a date-based deadline. If you end up seeing that more time is necessary, that’s fine. However, try to complete the task before the allotted time runs out, if it’s possible to do so without compromising the quality of your work. Doing this ensures that you don’t fall into the trap of using extra time that you have when you don’t really need it. Of course, if you end up seeing that you need less time than you originally thought, try and finish the task early, rather than let it drag on. While the examples which we saw so far focused on Parkinson’s law primarily under the context of how much time you should spend on tasks, the same considerations also apply to other resources, such as money and effort. This means that you shouldn’t just pour resources into a certain task just because they’re available, if there is no compelling reason to use them. To avoid this pitfall, you should first ask yourself what beneficial outcomes you can expect to gain in return for the resources that you intend to invest. You want to make sure that the ratio between outcomes-gained to resources-used is good enough that it’s worth it for you to use these resources. Similarly to when considering how much time you should spend on a certain task, the goal here is to ask yourself “what resources do I need in order to complete this task”, rather than just taking advantage of all the resources that you have, even when they’re not necessary. In addition, it’s important to keep in mind that accounting for Parkinson’s law can also help you collaborate more effectively with other people. Specifically, you can use the techniques that you saw here in order to set goals and constraints in collaborative work, in a way that ensures that your workflow is as efficient as possible. The key thing to remember when accounting for Parkinson’s law is that when choosing how much time or others resources to dedicate to a task, you should choose an amount which ensures that you don’t waste anything needlessly, but which simultaneously ensures that you don’t compromise the quality of your work. That is, when accounting for Parkinson’s law, you should focus on setting realistic time/resource constraints, and making sure that you abide by them whenever possible. This is as opposed to doing things such as setting minimal time constraints, which will guarantee that you don’t spend too much time on each task, but which can result in subpar work. For example, if you know that a certain task takes around 10 minutes to complete, you won’t be able to cram it into 2 minutes and still do a good job, and you shouldn’t try to either. Rather, your goal here should be to identify the fact that it takes about 10 minutes to complete the task, and set that as a time limit, to prevent yourself from wasting 30 minutes on it just because you can. Historical note: the term ‘Stock-Sanford corollary’ is likely an example of circular reporting or citogensis. Specifically, its first appearance in literature appears to be in the Wikipedia article on Parkinson’s law, where it was added by an anonymous user who did not provide any supporting references. Later, its initial appearance in the Wikipedia article led to its use by other writers, whose work eventually ended up being used as a reference on Wikipedia in support of this term. This means that in general, the more time we decide to allocate to a certain task, the longer it will us take to complete it, even if that extra time is unnecessary. This principle extends to other areas beyond personal time management. Essentially, research shows that once resources are allocated to a specific task, we tend to use them regardless of whether they are necessary or not. To account for Parkinson’s law, set up realistic time/resource constraints before you start working on a task, and try to complete your work within that limit. It’s fine to adjust as you go along; this means that you can add extra time if necessary, or finish the task early if you see that it’s possible to do so. Remember that it’s not just about trying to get the work done in the shortest amount of time possible. Rather, the goal of accounting for Parkinson’s law is to set up a frame which allows you to work efficiently and avoid wasting time, without compromising the overall quality of your work.